The Solomon Islands High Commission in London marks a new chapter in the historical relationship between Solomon Islands and the United Kingdom. The London Mission is the third Solomon Islands diplomatic Mission in Europe which includes Brussels in Belgium and Geneva in Switzerland. The Ministry of Foreign Affairs and External Trade has appointed Mr Trevor Unusu, the Assistant Secretary for Europe Desk at the Ministry, as the Chargé d’ Affaires for the London Mission, until such time that the Government appoints a new High Commissioner to head the Mission. The Solomon Islands Ambassador in Brussels, His Excellency Moses Kouni Mose, will remain as the Solomon Islands High Commissioner to London in the meantime. Work on establishing the Mission commenced in late 2016. Two senior officers of the Ministry of Foreign Affairs and External Trade were deployed to undertake this necessary preparatory work. The United Kingdom is one of the world’s major economic powers. The Kingdom continues to play a significant role in Europe, including on trade and investment, and is also an influential partner on regional and global issues. The London Mission will harness the potential for Solomon Islands to further explore some of the opportunities for economic development available in the United Kingdom and across Europe. The Solomon Islands Government, through the new Mission, will further enhance the close cooperation that the Government and People of the United Kingdom have enjoyed with Solomon Islands in areas of mutual benefit. 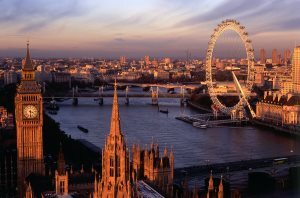 The London Mission will serve as the principal representative of Solomon Islands to the United Kingdom and Northern Ireland, as well as other International Organizations based in London, including the Commonwealth Secretariat and International Maritime Organisation.